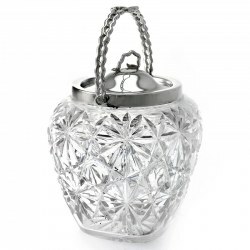 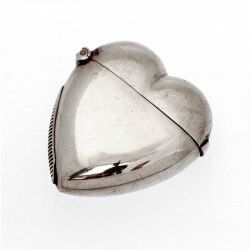 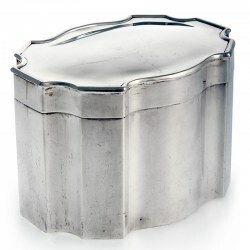 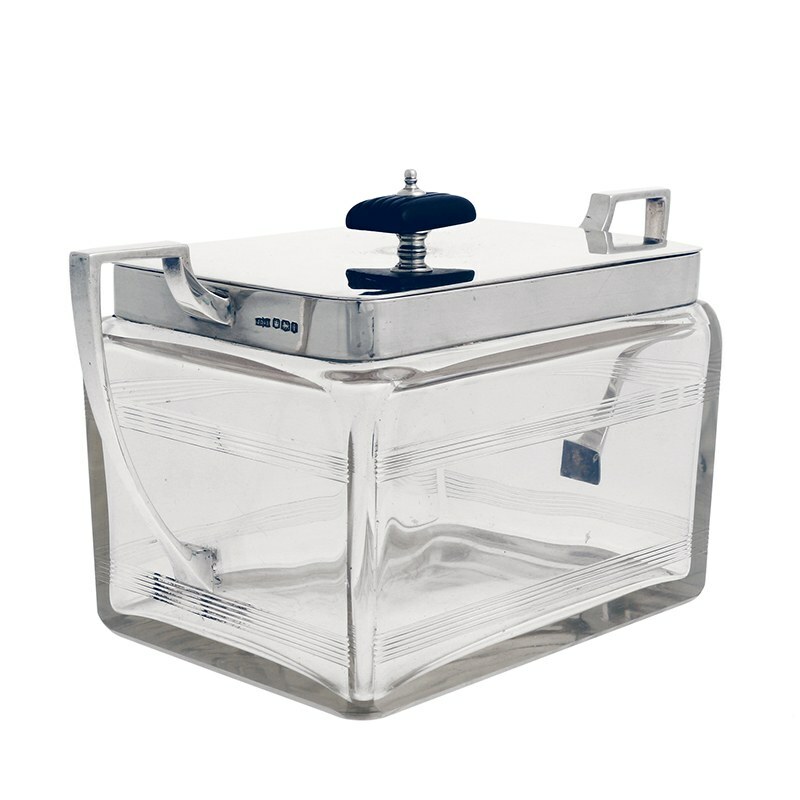 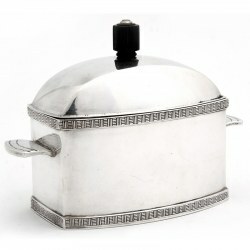 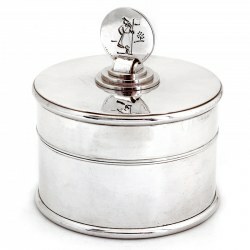 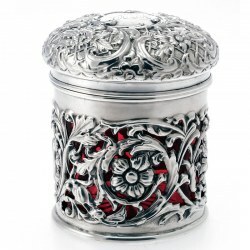 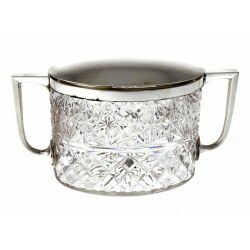 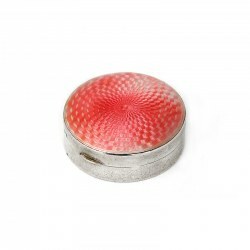 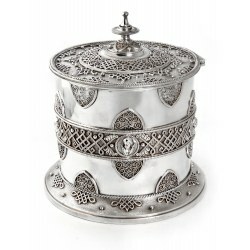 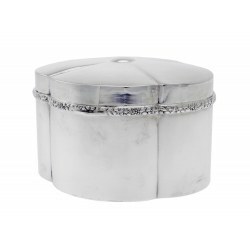 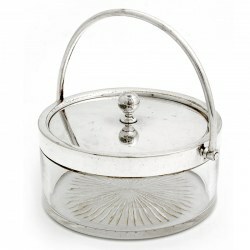 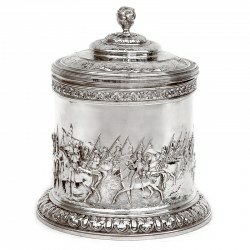 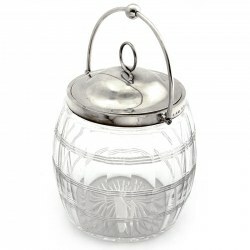 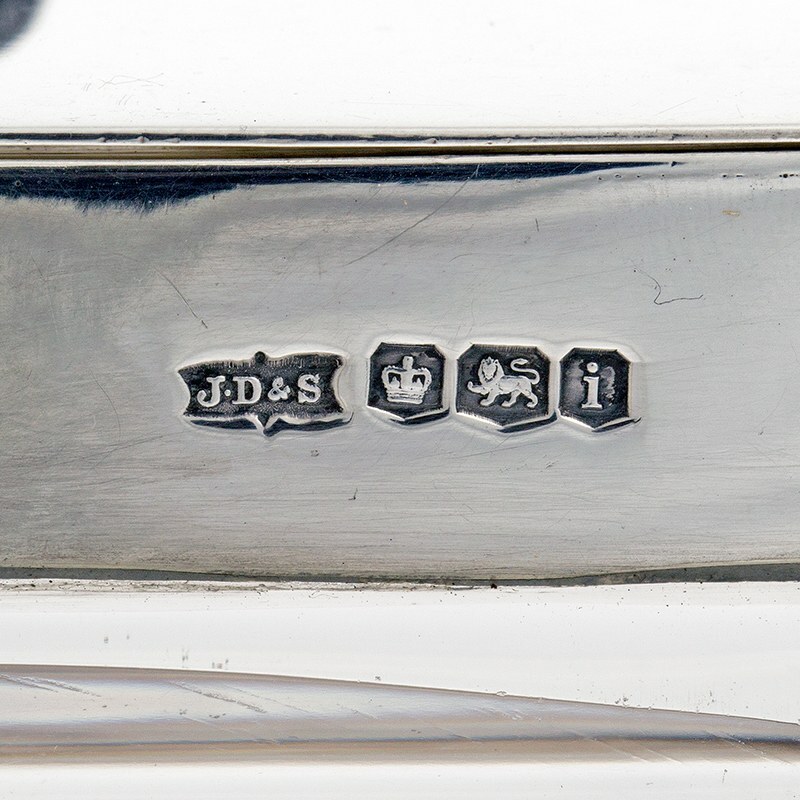 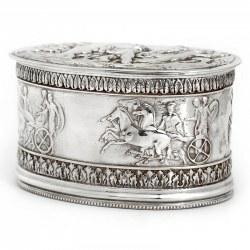 A stunning rectangular silver and glass lidded box. 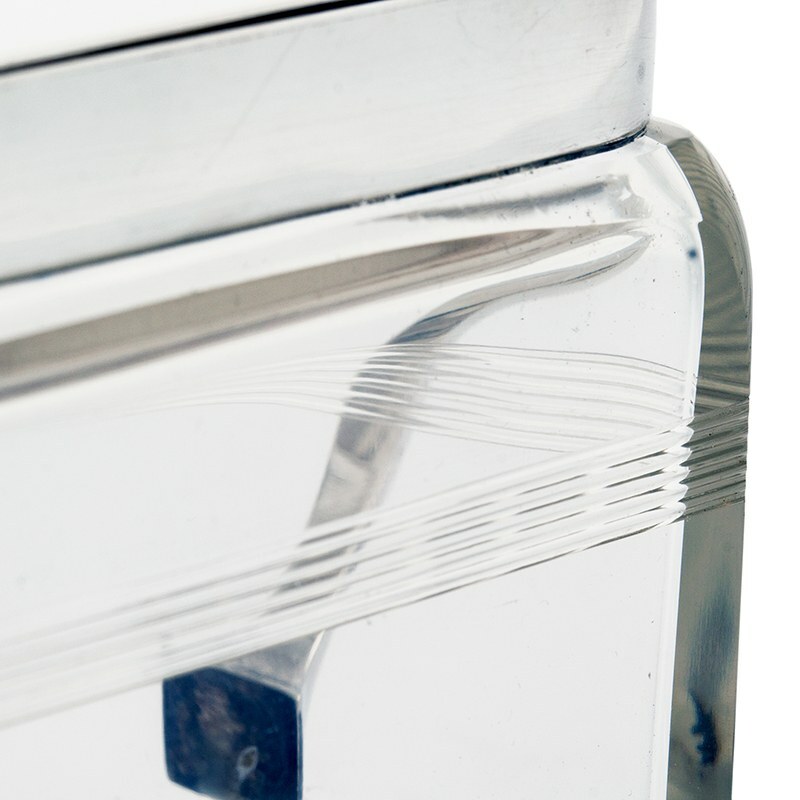 The clear glass body has been cut with two horizontal reeded stripes. 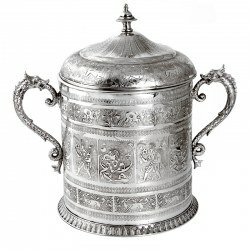 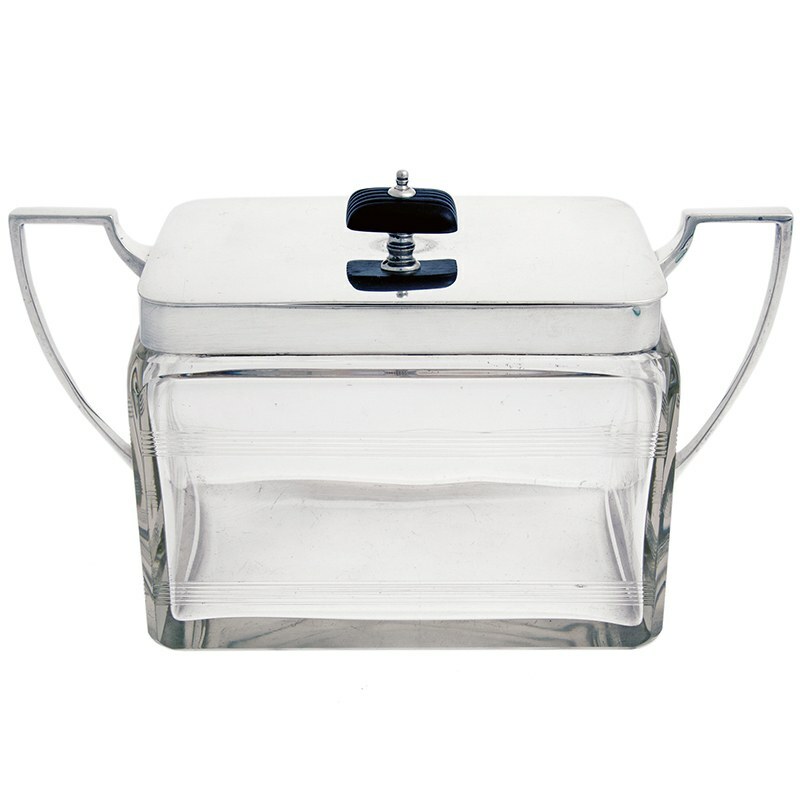 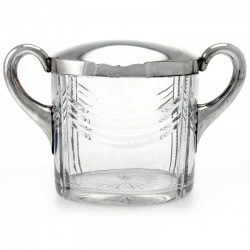 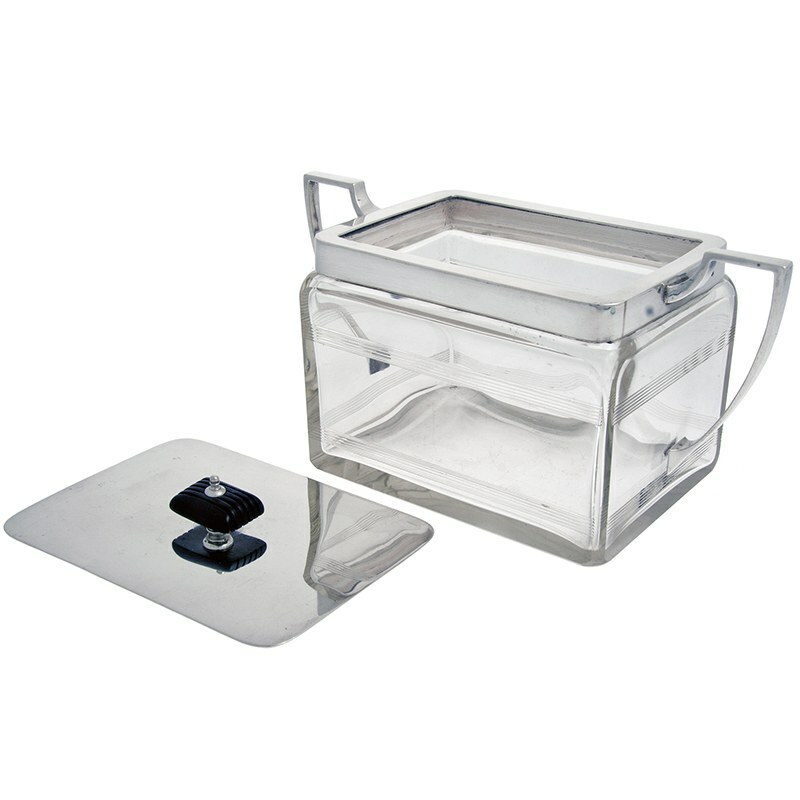 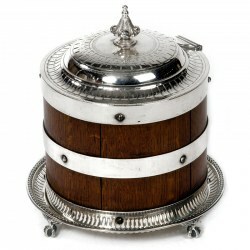 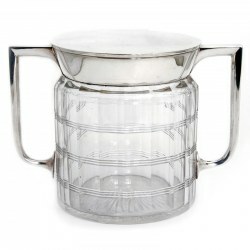 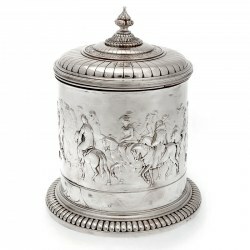 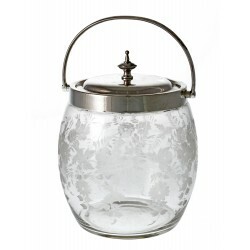 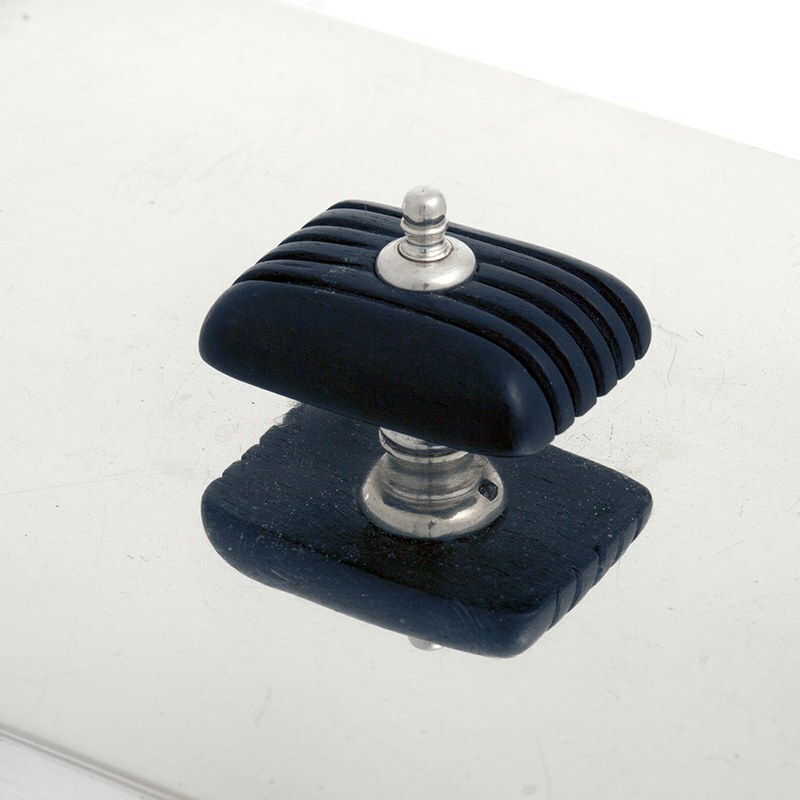 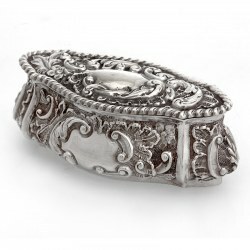 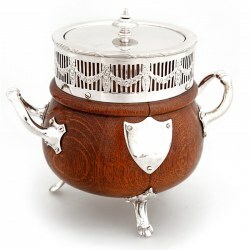 The silver mount is completely plain and has two applied handles. 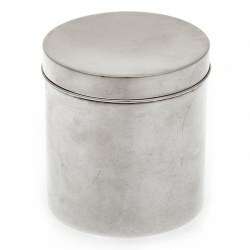 The plain pull off lid has a striped ebony finial.